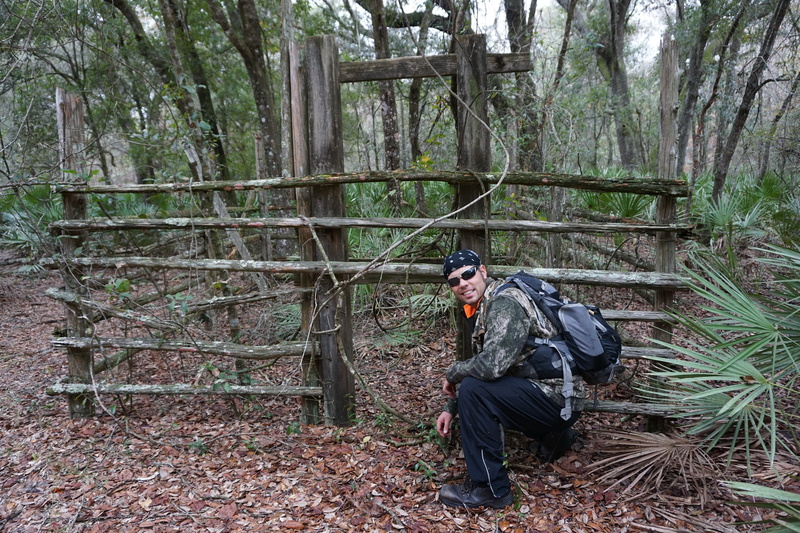 In an area of The Green Swamp I found this site while I was searching for a ghost town known as “Sturkey”. You can see the town still shown on some maps. 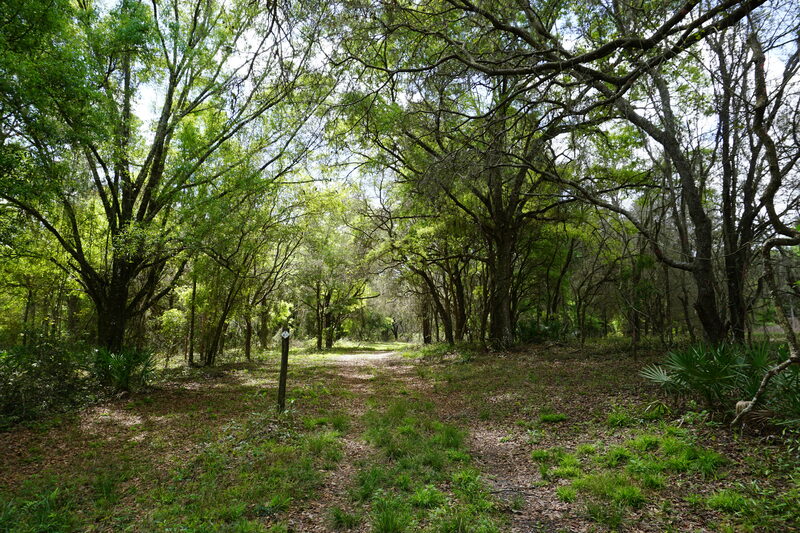 So I made it an adventure to go and try find it, the site can be found by an old railroad grade in the West Tract of The Green Swamp. I have investigated the area a few times now and still come away with more questions than answers. 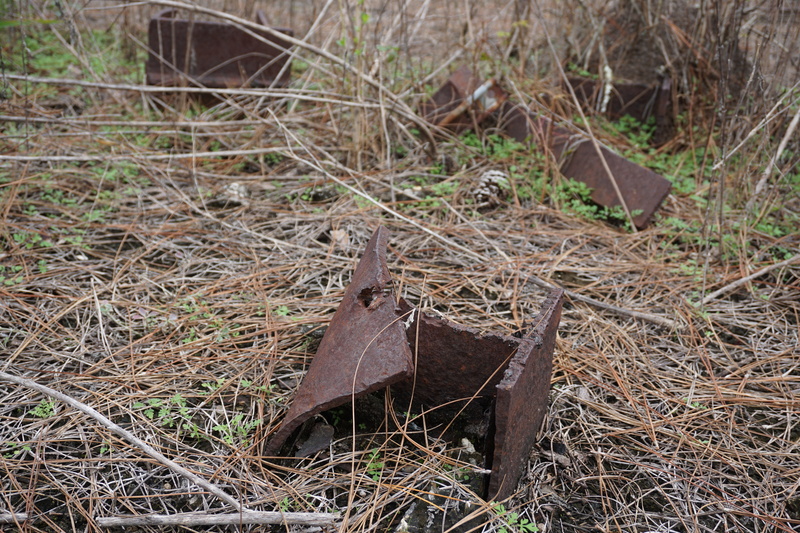 A lot of the remnants seemed to be industrial or manufacturing related. One of the first areas I saw off of the railroad grade was a clearing with woods and hills behind it. 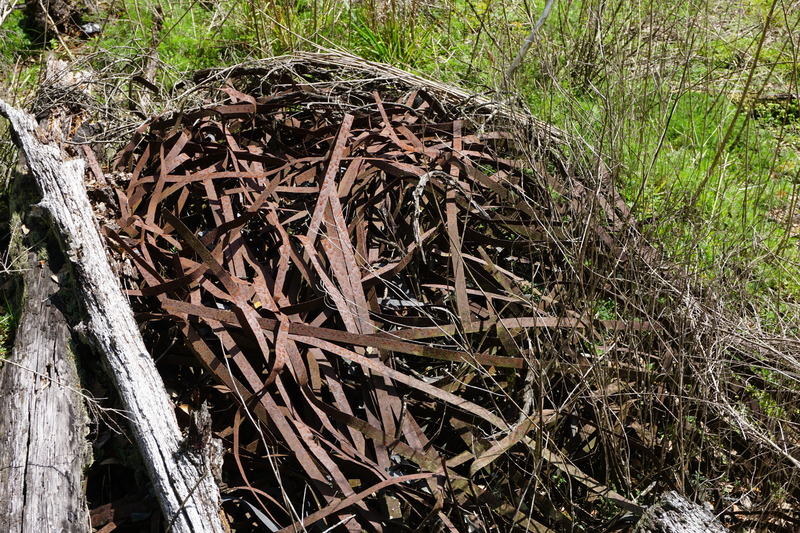 As I begun exploring around the clearing I started to see chains, scraps of metal, barrel rings, pieces of iron and wood. 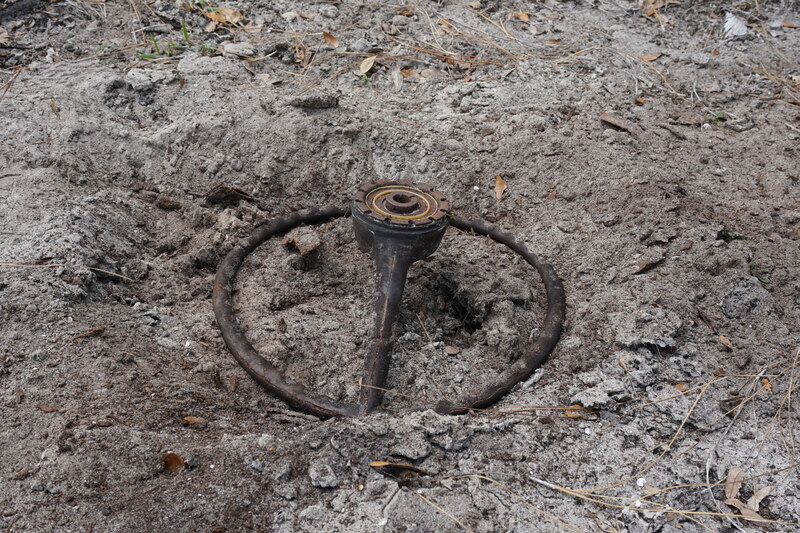 In one section I even saw an old steering wheel which indicates that vehicles were out here at one time. Everything was scattered about and this area was particularly large so it was a lot to cover. 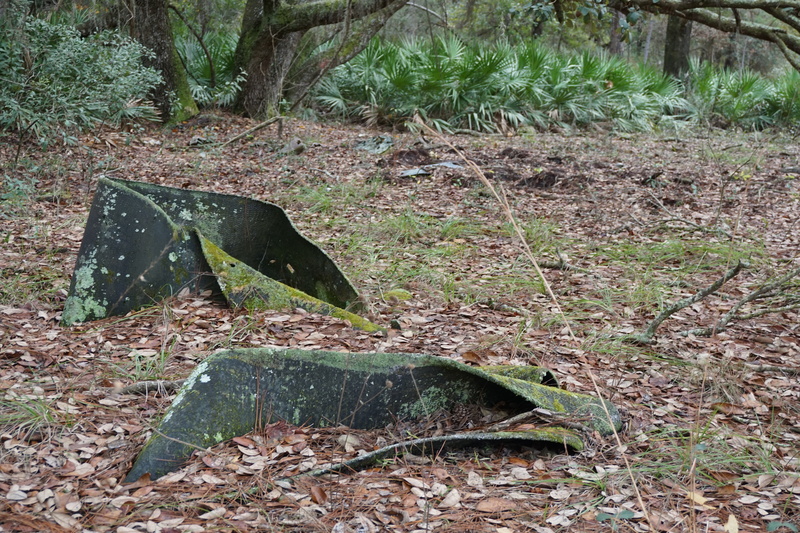 I imagined that maybe some structures were here at one time but it was hard to really tell. 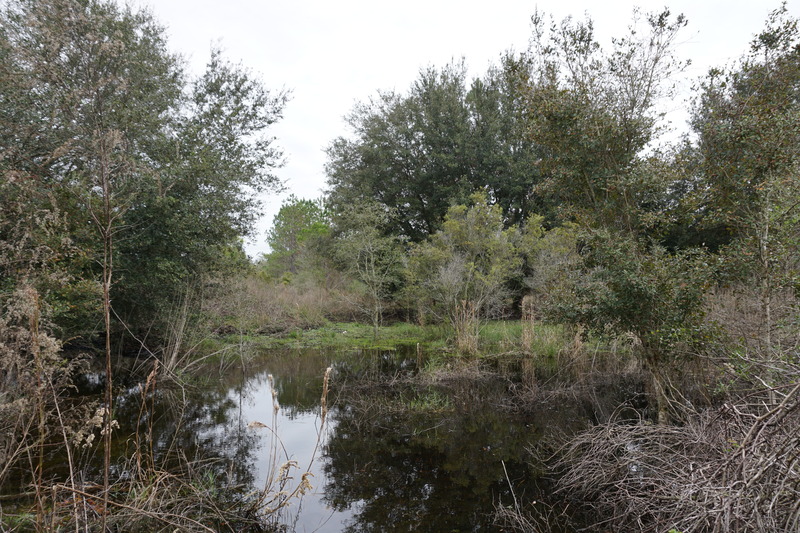 As I ventured further into the clearing I came to an area where some woods are along with some swampy areas as well. It was dry enough to continue on though. 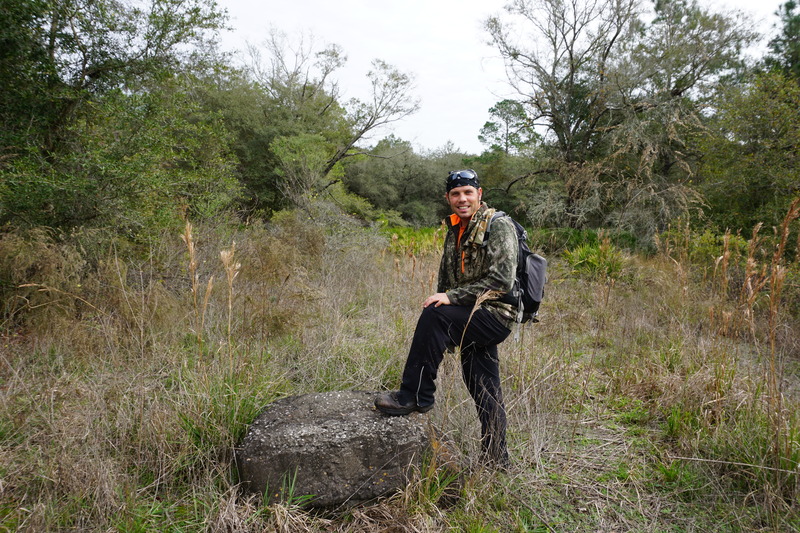 This is where I found a large foundation where it appears structures and other things were attached. 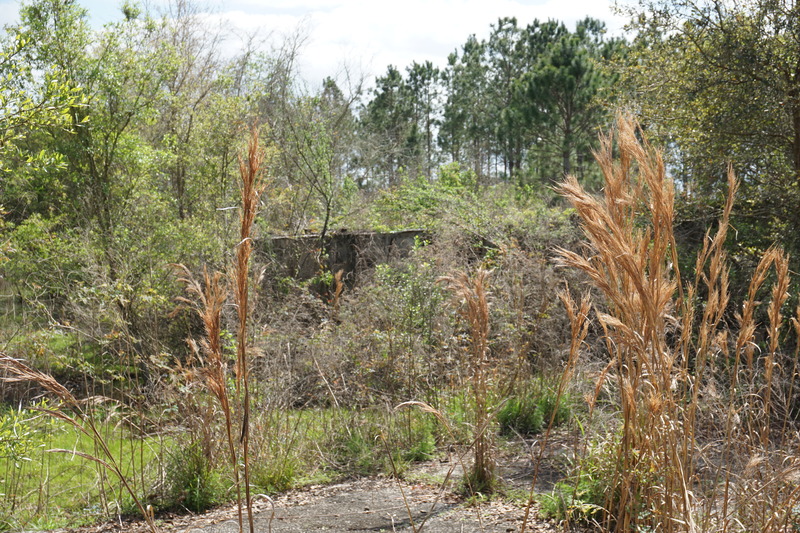 The grass and forest floor are taking over the foundation but you can still see a lot of it. It was here where I began to see more industrial related stuff. 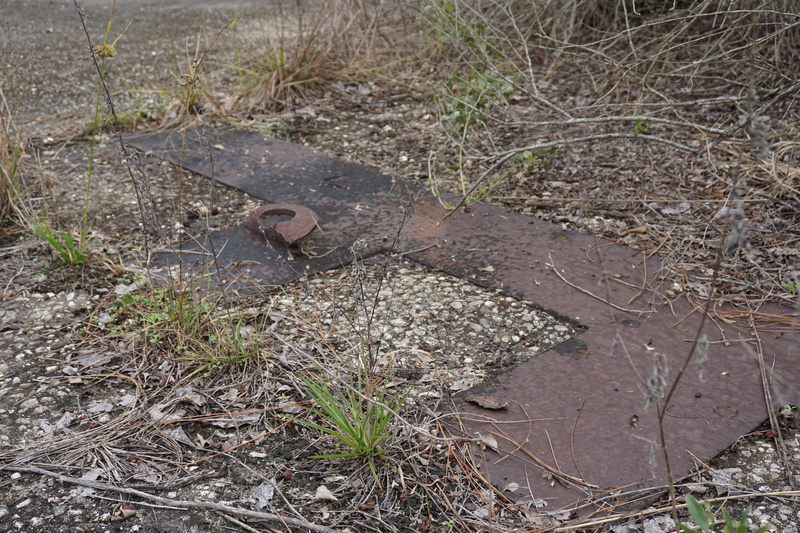 Attached to the foundation were iron plates and lots of bolts as well. 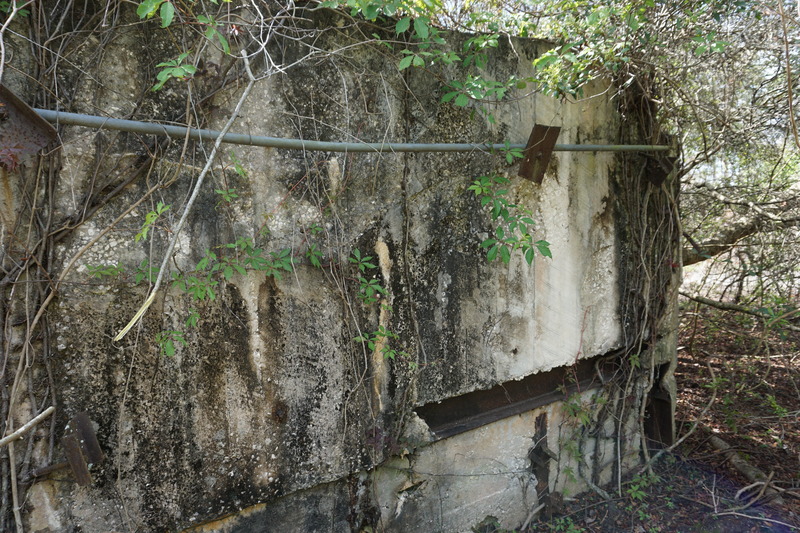 Along the edge of the foundation were some wall ruins left over from two of the structures. 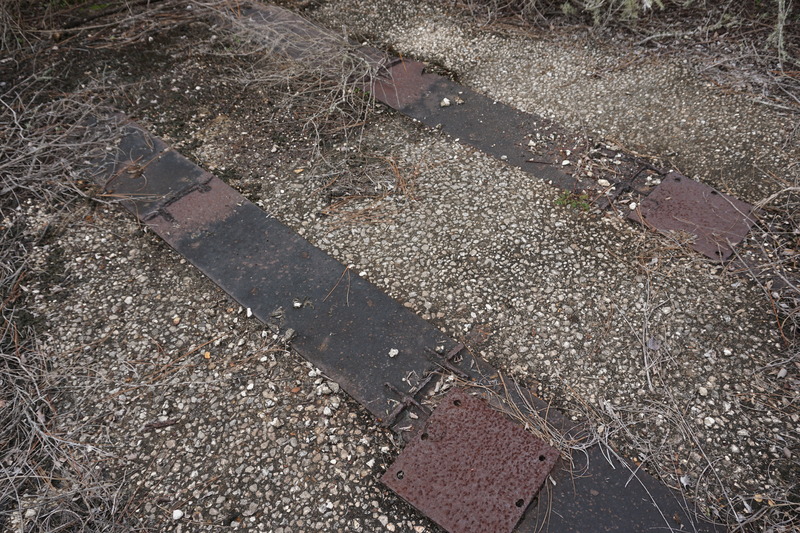 It appears that conveyor belts were attached to the top of these which could indicate some kind of mining operation. 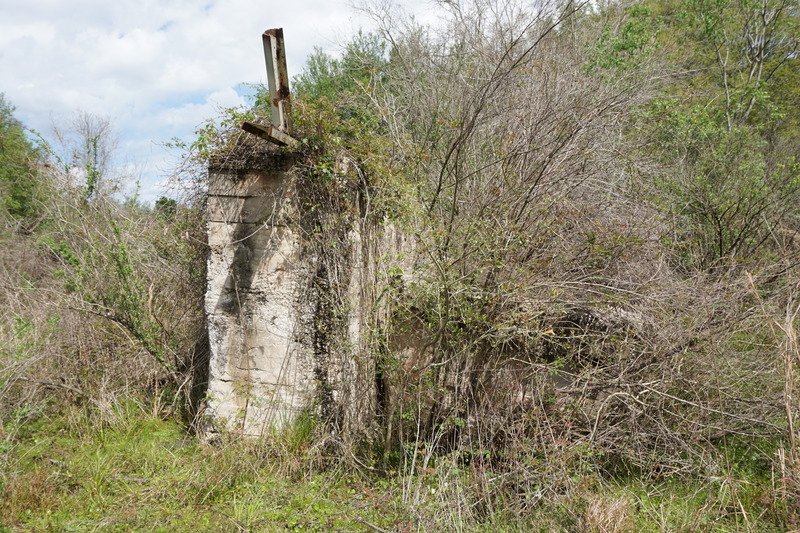 I have seen similar ruins in other parts of the Green Swamp where old mining operations were at one time. 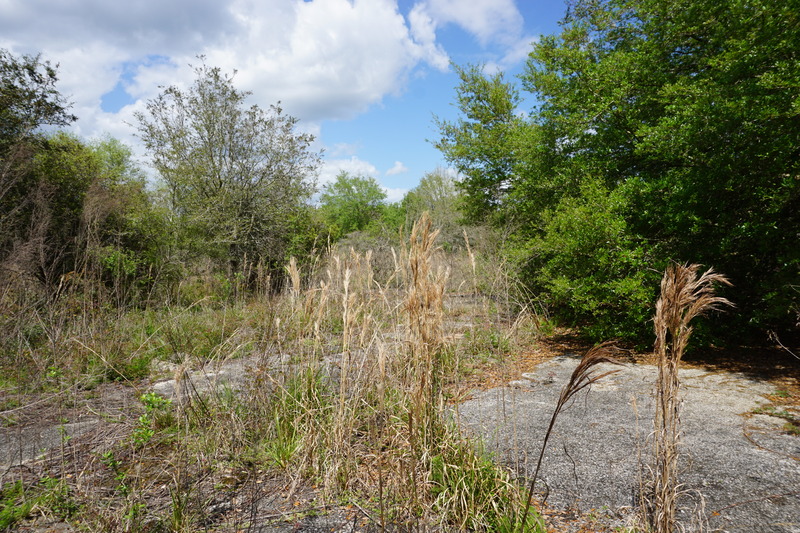 I left that area and continued further into the woods following what looks to be old dirt roads that were part of the townsite. I eventually got into this area where a lot of rolling hills were. 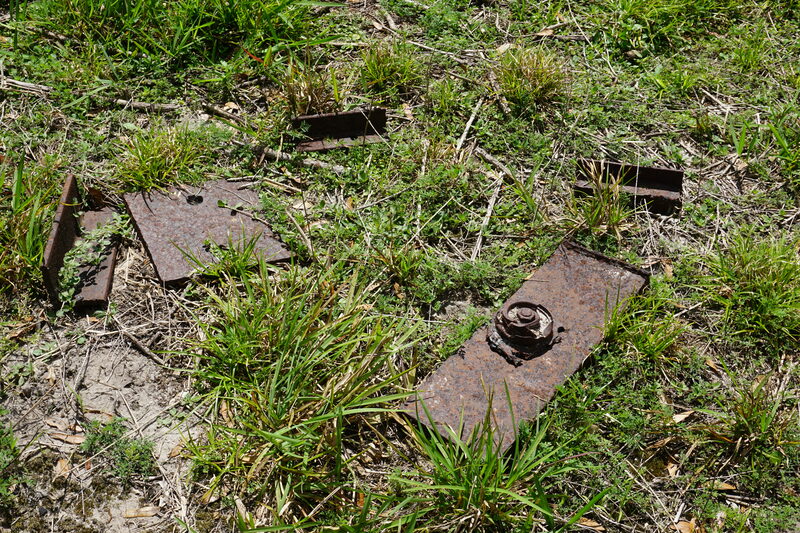 I found more evidence of past activity such as an old corral or hog pen. It seemed very old and fragile. 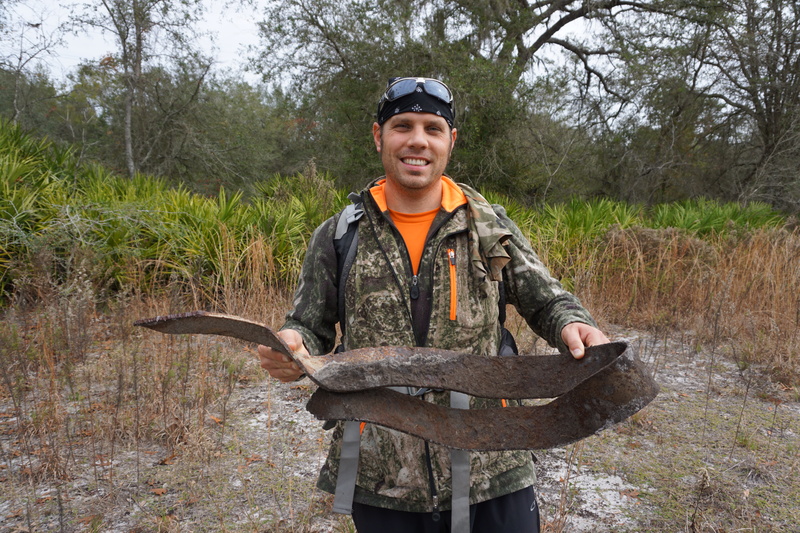 I found one area out here that had a lot of debris lying around. 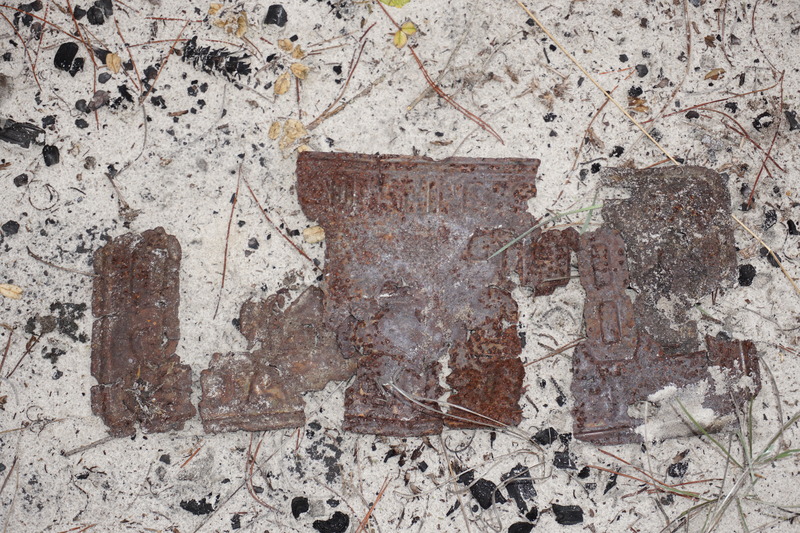 Possibly items from an old building. 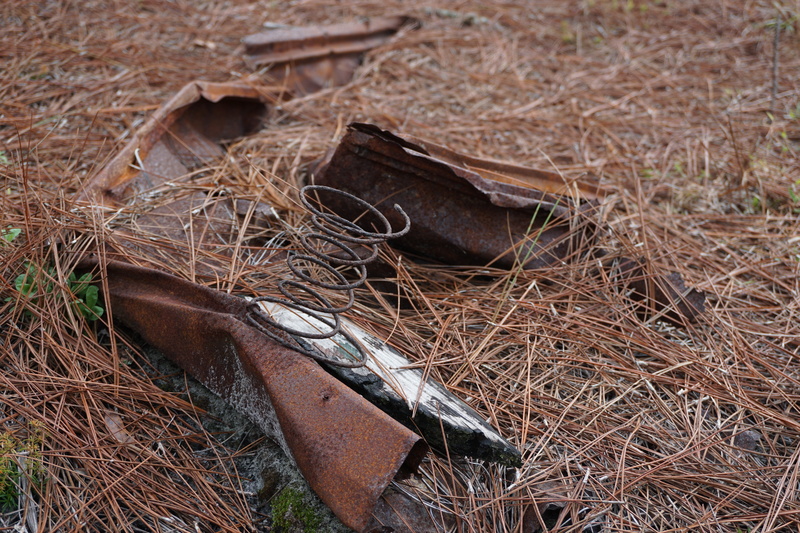 On top of one of the hills I found an old rusted out license plate. I couldn’t make out the numbers but you could see that it was a Florida license plate. I headed out of the woods here and over to the edge of the townsite then I circled around those areas to see what else I could uncover. I came across an area that I thought was an old hunt camp at first. 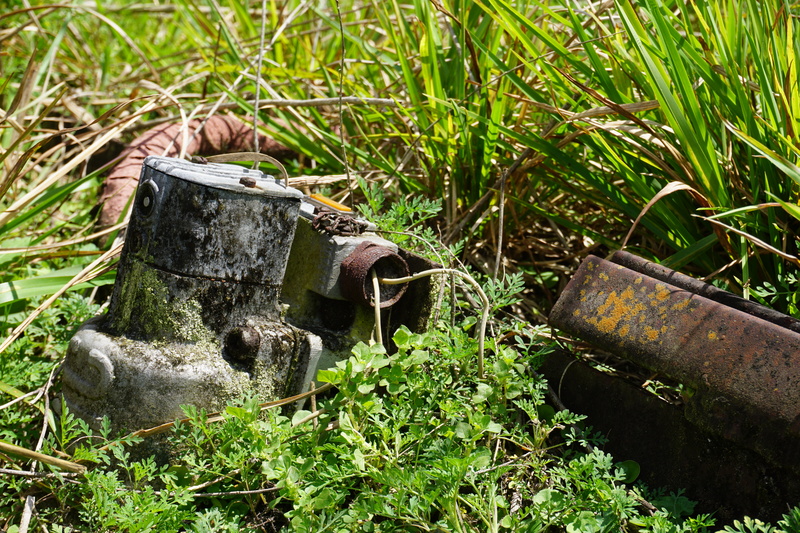 But as I investigated it further I saw more industrial type stuff similar to what I had seen previously. 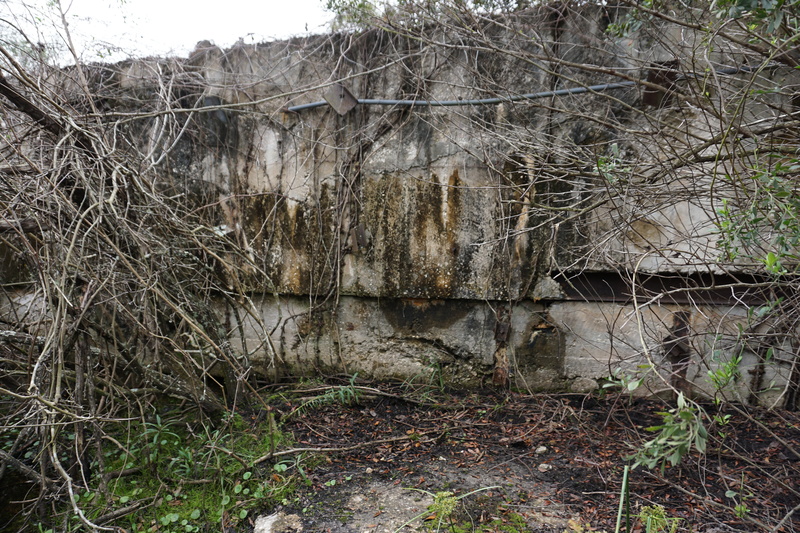 It appears this was connected with the site as well and back behind it was another swampy area with more concrete ruins. I have covered a lot of ground so far but I have a feeling there is more to discover so I am looking forward to future adventures here!